FTMDaily.com – For the last several months, the Eurozone has been facing rising deflationary pressures, stagnant economic growth, and growing concerns over the conflict in neighboring Ukraine. 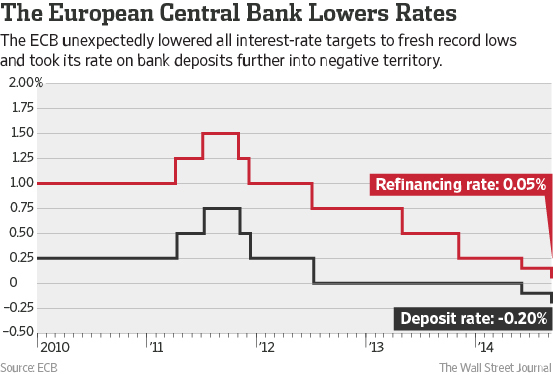 Until now, European policymakers have produced a patchwork of fiscal policies, most of which are failing to salvage the Eurozone’s weak “recovery.” In addition, the European Central Bank (ECB) has been aggressively cutting interest rates. Still, nothing seems to be working. Now, the ECB is getting even more aggressive in its battle to spark a new rally in financial asset prices across Europe. 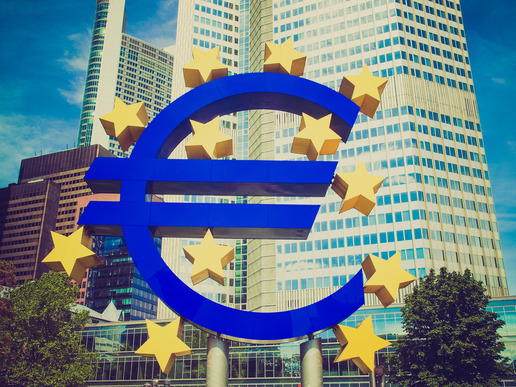 This morning, the ECB, under the direction of Mario Draghi, has unveiled three more rate cuts and a new economic stimulus program that will buy private-sector bonds (READ: “money-printing campaign”). The details on the new ECB stimulus are still forthcoming… However, investors are already beginning to pile into European stocks. You can read Mr. Draghi’s entire speech here.